Heaven's Lukas is a special little guy, with the right trainer he would be an ideal child's pony and show horse some day. 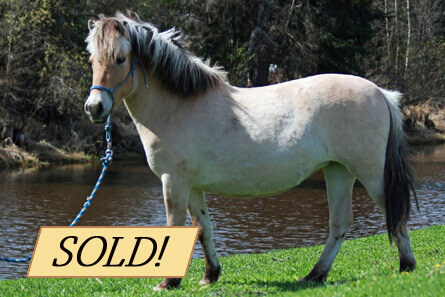 He has the trademark gentle, calm and curious personality that makes owning a Fjord horse so special! He is athletic with good movement and solid conformation. With a good start in life and plenty of handling he will be easy to break and care for. He is registered with the Canadian Fjord Horse Association, sired by River Oak Rocky, 5-years-old and will stop growing at around 13HH. He is ready to bond with his new approved family. You must visit the good people at the Little Piece of Heaven's Fjords and meet this friendly little character! He is in training now and doing very well. 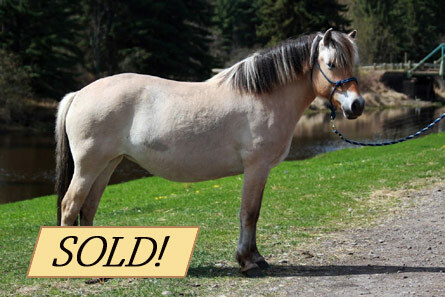 Heaven's Amalie sold to the Johnston Family of Calgary, Alberta! Heaven's Amalie is a sweet little girl. She is the first to greet you at the gate and is very affectionate. She is searching for her future partner in crime, a rider who will appreciate her kind and gentle personality that Fjord Horses are famous for. In the right hands, she has the potential to be a good little riding horse. Amalie is registered with the Canadian Fjord Horse Association, sired by River Oak Rocky, she is 3-years-old and around 14.2 HH. Come out to Bob and Gail’s at Little Piece of Heaven Fjords and take this little lady home today! Heaven’s Catrine could get you noticed in the show ring! With her beautiful face, solid conformation and athletic movement, she could excel in dressage or driving - in the right hands. She has a very gentle, calm personality, trademark of the Fjord Horse breed, she is curious and tends to be the lead mare in a herd. Catrine is registered with the Canadian Fjord Horse Association, 6-years-old, 14.2 HH and sired by River Oak Rocky, a sport horse type Fjord stallion. This pleasant mare is ready to bond with her new owner. You have to meet this little beauty! 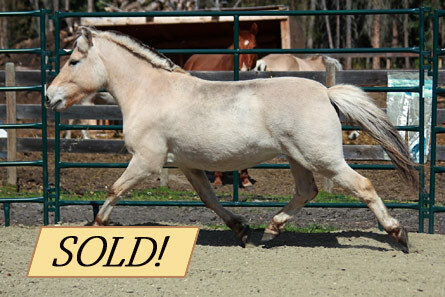 Liska is a beautiful fjord mare with great conformation and athletic potential! In the right hands she could stand out in the dressage or western pleasure ring. She has an elegant neck and way of holding herself. 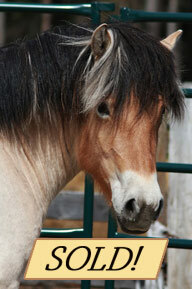 Calm and gentle as the Fjord Horse is famous for, she could be an excellent riding horse in the right hands. She is 3-years-old and quite tall for a Fjord at 15 HH and ready to get to work! Come on down to Bob and Gail’s at Little Piece of Heaven Fjords and be ready to fall in love.